Above is the latest information on sales and pricing for the 120 Kirkwood Project in downtown Bloomington. 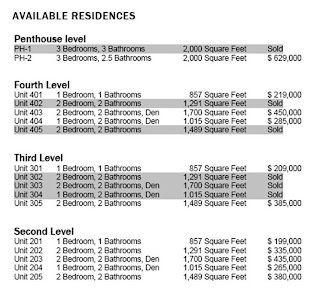 Floor plans are also available. Feel free to contact us with questions on this project and we'll do our best to get the answered for you.